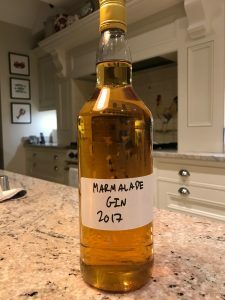 Recipe for marmalade gin. It should be perfect for cold winter mornings. 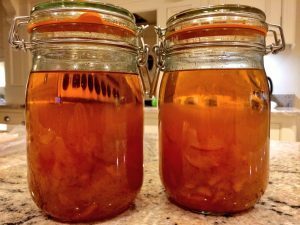 Warm each jar of marmalade. This will make it easier to get the marmalade out. 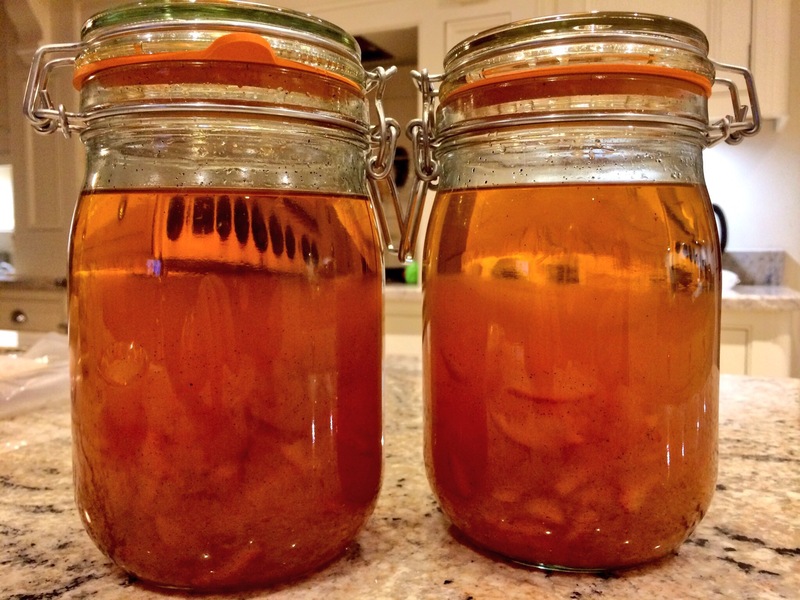 Empty one jar of marmalade into each Kilner jar. 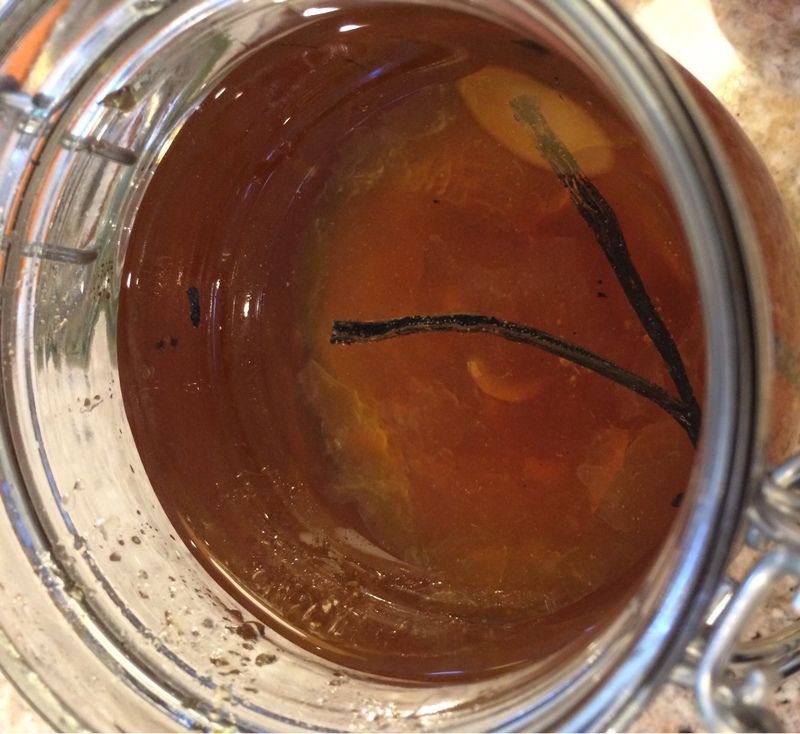 Cut the vanilla pod into two halves and slice each half open so that the seeds are visible. 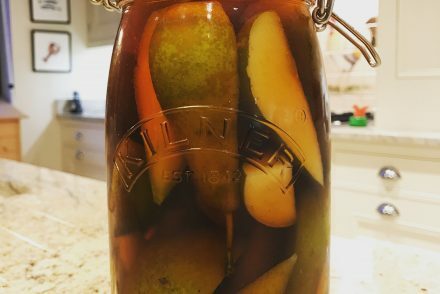 Add a half vanilla pod to each Kilner jar. Top up with gin until almost full. I am hoping that the sugar in the marmalade will be sufficient and that I don’t need to add any additional sugar. 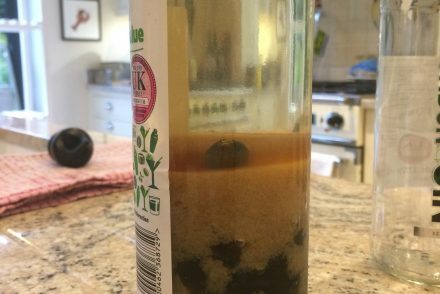 Seal the jar and gently shake until all the contents are mixed. Put the jars in a cool dark place. 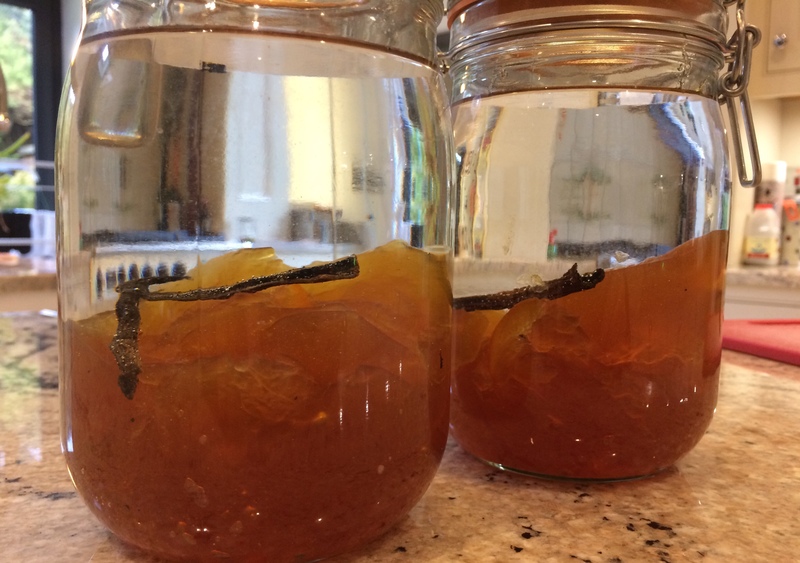 The gin in the top of each jar has turned the colour of marmalade. 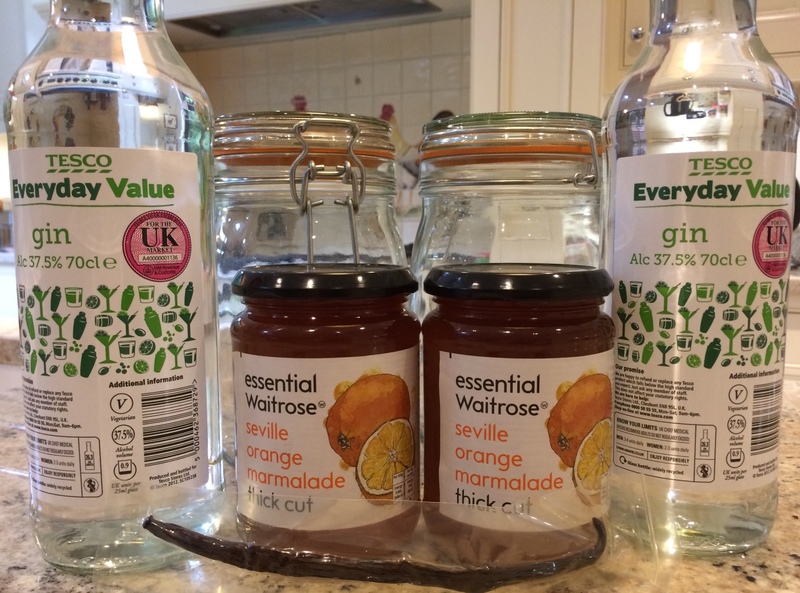 However, there’s still a significant amount of undissolved marmalade so I’ve topped up with some fresh gin. Marmalade gin after 4 weeks.